Today I discuss the best way to help keep prostates cancer-free. 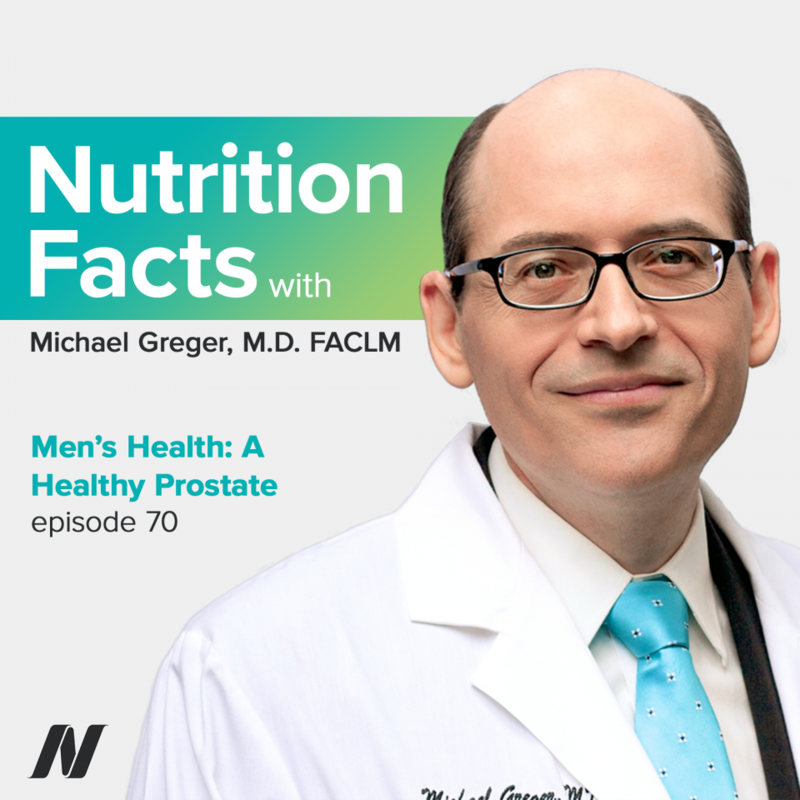 This episode features audio from Lycopene Supplements vs. Prostate Cancer, Tomato Sauce vs. Prostate Cancer, and Preventing Prostate Cancer with Green Tea. Visit the video pages for all sources and doctor’s notes related to this podcast. Today, we focus on men’s health. Specifically, we look at the way to keep our prostates cancer-free. In our first story, high doses of lycopene—the red pigment in tomatoes—were put to the test to see if it could prevent precancerous prostate lesions from turning into full-blown cancer. Back in the ‘80s, the Adventist Health Study found “[s]trong protective relationships [against prostate cancer] with increasing consumption of [legumes],…citrus…,…dried fruit, nuts, and tomatoes.” In the ‘90s, a Harvard study focused attention on tomatoes, which appeared to be “especially beneficial.” They suspected it might be the red pigment in tomatoes called lycopene, which has greater antioxidant power than some of the other pigments, like the orange beta-carotene pigment in carrots and cantaloupes. And, lycopene dramatically kills off prostate cancer cells in a Petri dish—even way down at the levels one would expect in one’s bloodstream after just eating some tomatoes. So, of course, the Heinz ketchup company, along with manufacturers of lycopene supplements, petitioned the FDA to allow them to print health claims on their products. They were essentially denied, saying that the evidence was “very limited and preliminary,” with no endorsement allowed for ketchup or supplements. By that time, further population studies had cast doubt on the lycopene theory. Consumers of high dietary intakes of lycopene didn’t seem to have lower cancer rates, after all. But, who has high dietary intakes of lycopene? Those that eat the most pizza; so, maybe it’s no surprise there are mixed results. What we need is to put lycopene to the test. It started with a case study. A 62-year old man with terminal prostate cancer; failed surgery, failed chemotherapy, metastases all over, spread to the bone. And so, he was sent to hospice to die. So, he took it upon himself to initiate “phytotherapy”—plant-based therapy, taking the amount of lycopene found in a quarter-cup of tomato sauce, or a tablespoon of tomato paste every day. His PSA, a measure of tumor bulk, started out at 365, dropped to 140 the next month, and then down to 8. His metastases started disappearing, and, as of his last follow-up, appeared to be living happily ever after. But, when given in higher-dose pill form, it didn’t seem to work. A 2013 review of all such lycopene supplement trials “failed to support [the initial] optimism.” In fact, they were just happy that the lycopene pills didn’t end up causing more cancer, like beta-carotene pills did. But, then came 2014. Researchers in Italy had been giving the largest doses they could of lycopene, selenium, and isolated green tea compounds to men with precancerous prostate lesions, hoping they could prevent full-blown cancer. But, in 2014, the expanded results of a similar trial were published, in which selenium and vitamin E supplements resulted in more cancer. Yikes! So, these researchers stopped their trial, and broke the code to unblind the results, And indeed, those taking high doses of lycopene, green tea catechins, and selenium appeared to get more cancer than those who just got sugar pills. “The potential implications are dramatic,” said the lead researcher, “given the current massive worldwide use of such compounds as alleged preventive supplementations in prostate and other cancers.” What went wrong? Well, after the beta-carotene pill debacle, researchers measured cellular damage at different natural and unnatural doses of beta-carotene. At dietary doses, beta-carotene suppressed cellular damage, but at higher, supplemental doses, it not only appeared to stop working, but caused more damage. And, the same with lycopene. “Both lycopene and [beta]-carotene afforded protection against DNA damage” at the kinds of levels one might see in people eating lots of tomatoes or sweet potatoes—”levels…comparable with those seen in the [blood] of individuals who consume a carotenoid-rich healthy diet.” However, at the kind of blood concentrations that one might get taking pills, “the ability to protect the cells against such [free radical] damage was rapidly lost, and, indeed, the presence of [high levels of beta-carotene and lycopene] may actually serve to increase the extent of DNA damage.” So, no wonder high-dose lycopene pills didn’t work. What happened when cancer patients were given three-quarters of a cup of canned tomato sauce every day for three weeks? Let’s find out! But, studies using high-dose supplements of lycopene, the antioxidant red pigment in tomatoes thought to be the active anticancer ingredient, failed over and over again to prevent or treat cancer, and may even end up promoting it—since at the high levels one can get with supplements, lycopene may actually act as a pro-oxidant. But, lycopene doesn’t appear to be effective at lower doses, either. “There is a strong [protective] correlation between the intake of [actual whole] fruit[s] and vegetables and the incidence of certain cancers.” But when we supplement with only a single compound isolated in pill form, we may upset the healthy natural balance of antioxidants. But, it’s not about finding the one magic bullet: “The anti-cancer effects of carotenoids and other phytonutrients may reside in [their] combined activity.” For example, at low concentrations of the tomato compounds phytoene, phytofluene, and lycopene found in most people who eat normal amounts of tomatoes, there’s very little effect on cancer cell growth in vitro, used separately. But combine them all together, and a non-effective dose plus a non-effective dose becomes effective somehow, significantly suppressing prostate cancer cell growth. Okay, but what did they find in their prostates? “[H]uman prostate tissue [is thought to] be particularly vulnerable to oxidative DNA damage by free radicals, which are thought to play a critical role in all stages of [cancer formation].” This may be for a number of reasons, including “fewer DNA repair enzymes.” Well, the researchers had tissue samples taken before the tomato sauce from biopsies, and tissue samples after the three weeks of tomato sauce from the surgery, and resected tissues from tomato sauce-supplemented patients had 28% less free radical damage than expected. Tomatoes contain a whole bunch of things, some of which may be even more powerful than lycopene. One in three men in their 30s may already have tiny cancerous tumors in their prostates. How much green tea might one have to drink to build up cancer-suppressing levels in one’s prostate tissue? Let’s find out! “Prostate cancer is a leading cause of illness and death among men in [the Western world].” But, the prostate cancer rates in Asia can be as much as ten times lower. Maybe, genetically they’re just that much less likely to get it. No. Japanese- and Chinese-Americans have high prostate cancer rates, as well. In the U.S., up to nearly one in three men in their 30s already have small prostate cancers brewing, and that grows to nearly two-thirds of American men by their 60s. On autopsy, most older men were found to have unknown cancerous tumors in their prostates. What’s remarkable is that Asian men seem to have the same prevalence of these hidden, latent prostate cancers on autopsy, but the tumors don’t tend to grow enough to cause problems. 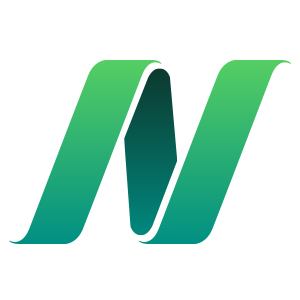 In Japan, men die with their tumors, rather than from their tumors. Of course, that’s changing, as Asian populations continue to Westernize their diets. What is it about Western diets that’s fueling cancer growth? Well, it could be carcinogens in the diet, accelerating the growth of cancer. “The typical U.S. diet is rich in animal fats and meats…” But, it could also be something protective in Asian diets that’s slowing the cancer growth—like fruits and vegetables, soy foods, or green tea. How might one figure out if there’s a link between tea consumption and risk and progression of prostate cancer? Well, you could see if tea drinkers tend to get less cancer in the future, and if cancer victims tended to have drank less tea in the past. Dozens of studies have done just that, and although the results were mixed, overall tea consumption was associated with a lower risk of prostate cancer. And so, tea consumption might indeed play a protective role. But, just because tea drinkers get less cancer doesn’t mean it’s necessarily the tea. Maybe tea drinking is just a sign of a more traditional lifestyle. Maybe tea drinkers are less likely to be patrons of the thousand KFC outlets now in Japan, for example. To control for as many factors as possible, you could perform in vitro studies in a lab, where you take everything else out of the equation, except green tea and prostate cancer, by dripping green tea compounds directly onto prostate cancer cells in a Petri dish—which can cause them to self-destruct. But, are enough green tea compounds absorbed into our bloodstream when we drink it? Looks like it takes about a concentration of 40 (picomoles per milliliter) to cut the viability of human prostate cancer cells more than half in a Petri dish. How much green tea would men have to drink to get concentrations that high in their prostate glands? Well, if you have men drink six cups of green tea a day before undergoing prostate removal surgery, they can, indeed, build up that 40 picomole cancer-stopping concentration in their prostate tissue. That may explain why some studies failed to find an association between tea drinking and cancer. In the U.S., for example, the high tea-drinking group may be defined as more than five cups of tea a week, which didn’t seem to do much. But, in Japan, the high tea-drinking group can be five or more cups a day, which appeared to cut the risk of aggressive prostate cancer about in half—not apparently by preventing the formation of the cancer in the first place, but perhaps by slowing or stopping the cancer’s growth. If green tea can stop the growth of prostate cancer, why not try giving green tea to prostate cancer patients to see if it’ll help? To see any graphs, charts, graphics, images or studies mentioned here, please go to the Nutrition Facts podcast landing page. There you’ll find all the detailed information you need – plus links to all the sources we cite for each of these topics. I am wondering about the teaspoon of tomato paste. My brother eats a lot of pizza, but got it. My relatives don’t eat fruits and vegetables, but they eat a ton of pizza. How do I even explain to my brothers that the half cup of day of tomato sauce on pizza isn’t going to work, but they should try it on something else? Okay, to have the full effects of the lycopene, people need to eat 1/8th of an avocado or 2 walnuts when they drink their tomato juice. Seems like, the fact that pizza didn’t work, that it isn’t all fats, which help? The point is pizza has cheese, which is very bad and also the pizza dough is made of refined white flour (like eating sugar) which also is very bad. That is why it does not work. I guess we would need a study on tomato sauce versus growth hormone on cancer to see if there is a level, where the tomato sauce might win. How about throwing this issue sideways. Use a whole wheat crust or one of the non-gluten flours or veggies, soy based cheese or equivalent, lots of well-cooked tomato sauce and a ton of veggies. There is triple concentrated tomato paste from italy in tubes that tastes great . I cannot make any adverts obviously but the name of the brand is not unlike the word for mother in german….. I wonder if they might contain too *much * lycopene? Good question, I found references to consuming 120 mg per day for 1 year (https://www.webmd.com/vitamins/ai/ingredientmono-554/lycopene) without any adverse events and then found this site: https://www.fitday.com/fitness-articles/nutrition/healthy-eating/5-signs-youre-eating-too-much-lycopene.html which sites some skin discoloration and other responses to increased lycopene consumption, mainly beneficial. I found some assays of tomato products : https://www.ncbi.nlm.nih.gov/pmc/articles/PMC5454725/ see table 2 with ug amounts in 5 grams, which is a bit under a teaspoon…… with that said even a large amount of tomato sauce or paste would equal <1 mg. Only way to really overdose….take a supplement and lots of em….The typical bands come in 10mg to 40 mg per pill. So should you switch tomato bands….probably not. Enjoy your concentrated product and use reasonable doses.